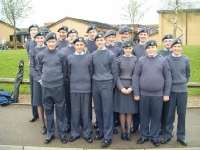 2517 (Buxton) Squadron Air Training Corps is home to cadets living all over Buxton and the High Peak. Our motto is “Supra Omnes”, which translates from Latin as simply “Above All”. This is a very apt motto for a squadron situated in Buxton, making 2517 literally the highest Squadron above sea level in the Air Training Corps. One of the talents which the Squadron is rightly proud of is the performance of the Corps of Drums who have been well established for a number of years now. 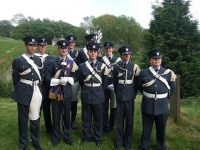 The Drum Corps has many accolades including leading the largest parade of Air Cadets and Adult Staff in the country through the city of Lichfield to celebrate 70 years of the Air Training Corps. 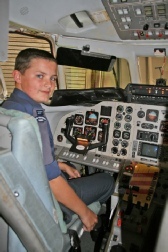 In 2013 Buxton Squadron celebrated 40 years since its own formation. With strong links to Buxton and the High Peak, 2517 (Buxton) Squadron are proud to support the Buxton Military Tattoo.